BACKGROUND: Concern over amniotic fluid leakage is common among pregnant women. Uncertainty about prelabor rupture of amniotic membranes (PROM) can lead women to present to emergency departments or to labor and delivery units for medical evaluation. Many of such visits do not result in delivery, yet they carry significant, and potentially unnecessary, healthcare expenditures. OBJECTIVE: To estimate the prevalence and payer cost of potentially avoidable visits by pregnant women to an emergent care facility (including emergency departments, labor and delivery units, or observation units) for suspected PROM. METHODS: This study included 2 processes—an electronic medical records chart review and a commercial health insurance claims data analysis. The medical chart review included 843 scheduled and 1250 unscheduled pregnancy-related visits at Robert Wood Johnson University Hospital between January 4 and June 30, 2017, which was conducted to determine the rates of visits by pregnant women with suspected PROM and their results (ie, hospital admission or discharge). In addition, we performed a retrospective analysis of medical claims data from the Truven Health MarketScan Commercial Database to measure population-level incidence rates and the costs of pregnancy-related emergent care visits for suspected PROM. RESULTS: Of the 1250 unscheduled visits reviewed, 663 did not result in delivery; of these, 68 had a primary complaint of suspected PROM, and 55 (81%) of them were discharged with PROM ruled out. Of all scheduled and unscheduled nondelivery visits (N = 1069), 5.1% (N = 55) were associated with suspected PROM but were discharged home with PROM ruled out. In the commercial claims analysis, the average rate of emergent care visits by pregnant women was 436.69 per 1000 deliveries, with an estimated average cost of $1428 per visit (in 2018 dollars), or $0.58 per member per month. Applying the rates from our chart review to the claims data, we estimated that commercial insurers pay, on average, for approximately 22.47 facility visits per 1000 deliveries for suspected and ruled-out PROM. CONCLUSIONS: Our findings suggest that for most PROM cases that do not result in delivery, PROM is ruled out and patients are sent home. Reducing the number of PROM-related visits to emergent care facilities that result in ruled-out PROM could reduce healthcare costs and help patients and providers avoid these inconvenient visits. During the later weeks of pregnancy, pregnant women are often concerned with suspected leakage of amniotic fluid, which, whether preterm or at term, requires evaluation and medical intervention. The rupture of membranes occurs in an estimated 8% to 10% of full-term pregnancies.1 In many cases, rupture of the amniotic membranes results in copious watery discharge, making the diagnosis of amniotic fluid leakage clinically obvious; however, more subtle presentations may also occur. Pregnant women’s inability to distinguish amniotic fluid leakage from other causes of vaginal wetness (such as urine or physiologic vaginal discharge) results in their seeking medical evaluation, which is often done in a costly setting, such as the emergency department or labor and delivery unit. After the completion of a cost–benefit study by the UK National Institute for Health and Care Excellence (NICE) of home use of amniotic fluid detection products, NICE endorsed the utilization of this technology in the community setting.7 However, this study has limited applicability in the United States, because of the difference in the healthcare delivery system structure and financing between the 2 countries. For example, unlike in the United States, in the UK National Health Service, important cost elements include midwife time, testing supplies, speculum examinations, and referrals to antenatal units. In the United States, pregnant women with suspected prelabor rupture of amniotic membranes (PROM) may seek care through a visit to an obstetrician’s office or through an emergent care visit, perhaps to an emergency department. However, commercial and Medicaid payers use prospective global episode fees for routine prenatal and delivery care provided by the obstetric professional, but emergent care visits incur separate fees for the payer, even when those are pregnancy-related. Such emergent care visits are not included in the payer’s global episode fee and therefore generate a separate payment by payers. Reducing visits to obstetricians does not reduce payer cost, although reducing emergent visits will reduce obstetrician workload and avoid inconvenience and burden to patients. By contrast, reducing avoidable pregnancy-related emergent care visits would represent a net saving to payers. The purpose of this study was to quantify the prevalence and payer cost of avoidable suspected PROM visits in the United States, because emergency care visits are the principal avoidable payer costs related to suspected PROM. We identified suspected PROM visits in women with self-reported amniotic fluid leakage who presented to an academic hospital facility. We integrated the rate of suspected PROM visits that were discharged on confirmation of no amniotic fluid leak, which we considered an avoidable PROM visit, with information from a large insurance claims database to estimate the prevalence and cost of avoidable visits among pregnant women. Medical claims are a common data source for large-scale cost studies, but insurance claims data do not capture sufficient details to understand the reasons why a pregnant woman may choose to have a medical facility visit. PROM is likely to be coded as a diagnosis on a medical claim if it is confirmed, but it may not be coded if it is ruled out. Furthermore, the routine workup of pregnant women who visit a medical facility is often comprehensive because hospital organizations try to avoid malpractice cases. 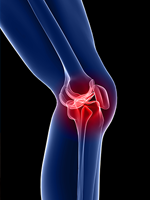 Therefore, the details of patient workup on a medical claim may not be a good indicator of the symptoms leading to the visit. For these reasons, we used a combination of chart audit extraction and claims analysis for this study. The study involved 2 distinct data sources and processes—a clinical chart review and an administrative claims analysis. Because the goal was to calculate nationally representative information, no attempt was made to link patients’ charts to the administrative claims data; instead, we used national averages derived from a large commercial administrative claims database to calculate costs and utilization. The chart review process was used to produce estimates of the portion of pregnancy-related emergent care visits that were PROM-related, and their resolution (ie, hospital admission or discharge). The commercial administrative claims analysis provided all the cost figures, as well as the rates of pregnancy-related emergent care visits. We combined information from these 2 sources to produce population-level (ie, pregnancy-related) conclusions, as described below. A team of 2 obstetric researchers supervised by 2 clinicians performed a retrospective chart review using the medical records of women who presented to the labor and delivery unit at the Robert Wood Johnson University Hospital in New Brunswick, NJ, between January 4, 2017, and June 30, 2017. This institution provides all unscheduled, nontrauma pregnancy-related care at its labor and delivery unit rather than at the emergency department. We extracted electronic medical records (EMRs) from the GE Centricity EMR system. We used published literature on pregnancy-related emergent care visits,1,3 and a statistical power test with a 95% confidence interval (CI) estimate and a margin of error of 1% to determine a sample size of 1250 pregnant women. We charted 2563 pregnancy-related visits during the EMR chart review period, of which 1720 were unscheduled. The data manager for the labor and delivery unit randomly retrieved 1300 charts, of which 1250 had sufficient data and were reviewed for this analysis (Figure). We collected patient demographics from the EMR, including age, race, primary payer, and mode of arrival at the labor and delivery unit, as well as data regarding pregnancy history (gravidity and parity); purpose of visit; risk factors for PROM or preterm PROM, as defined by Mercer and colleagues8; the determination of PROM or preterm PROM; diagnostic procedures; additional procedures performed (including complete blood count, metabolic panel [SMA-12], ultrasound and fetal heart rate monitoring); and patient disposition (ie, admission or discharge). For women who presented with suspected PROM, we recorded the confirmation of a suspected amniotic fluid leak during the visit. If a visit resulted in admission for delivery, we recorded only the woman’s demographics, pregnancy history, PROM or preterm PROM risk factors, and the purpose of the visit. We counted, but did not review medically, the scheduled visits, including scheduled fetal and maternal monitoring, labor induction, or cesarean deliveries. Two obstetric researchers collected data from the EMR, and an obstetrician randomly selected 1 chart from every 5 to 10 records to validate the data’s accuracy. A second obstetrician resolved any disagreement between the primary and secondary reviewers. The data were entered into a Microsoft Excel collection tool for analysis. The study protocol was approved by the Western Institutional Review Board and the Research Utilization Committee of Robert Wood Johnson University Hospital. We tabulated the proportion of unscheduled visits for suspected PROM and the proportion of these visits that were discharged after ruling out amniotic fluid leakage, and were considered avoidable PROM visits. Because certain clinical characteristics are associated with a PROM risk and preterm delivery,8 we constructed logistic regression models to test the association between the presence of 1 or more PROM risk factors that were then included as a binary exposure, and the 2 outcomes of the rate of suspected PROM visits and avoidable PROM visits for all unscheduled visits. Furthermore, we tested characteristics as potential covariates in each model, including gestational age, maternal age, payer (ie, commercial insurance, Medicaid, or other), ethnicity, gravidity, and parity. Covariates were selected based on information available in the EMRs and the clinical significance. The data analytics team examined claims data from the Truven Health MarketScan Commercial Database for commercially insured women who had delivery claims in the 2014 and 2015 MarketScan database. This MarketScan database is an annual medical database of private sector health claims data from approximately 100 US healthcare payers. The database contains claims from more than 35 million commercially insured members, representing approximately 1 in every 6 employees and their dependents in the United States, and is geographically diverse. The database consists of person-specific clinical utilization, expenditures, and enrollment across inpatient, outpatient, prescription drug, and carve-out services from a selection of large employers’ health plans and government and public organizations in the United States. The MarketScan database links paid insurance claims and clinical encounter data to detailed patient information across geographical sites and types of providers over a specified time. We restricted our analysis to members and their dependents whose employment status was indicated as active or unknown, and excluded those enrolled in capitated health plans. We excluded any member aged ≥65 years as of the end of 2015, as well as payers who submitted incomplete data. We identified members who delivered between January 2015 and September 2015. To ensure the capture of all the costs incurred during the prenatal period, we restricted the analysis to members who had 9 months of medical coverage leading up to, and including, the month of delivery. Deliveries were identified based on the presence of an inpatient claim with a delivery Medicare Severity-Diagnosis Related Group (765, 766, 767, 768, 774, or 775). For members who delivered between January 2015 and September 2015, we quantified pregnancy-related emergent care visits occurring in the 9 months before their delivery date. Our definition of pregnancy-related emergent care visits included short-term nondelivery inpatient visits (ie, inpatient visits, other than for delivery, that lasted 0-1 days), pregnancy-related observation visits, and pregnancy-related emergency department visits. 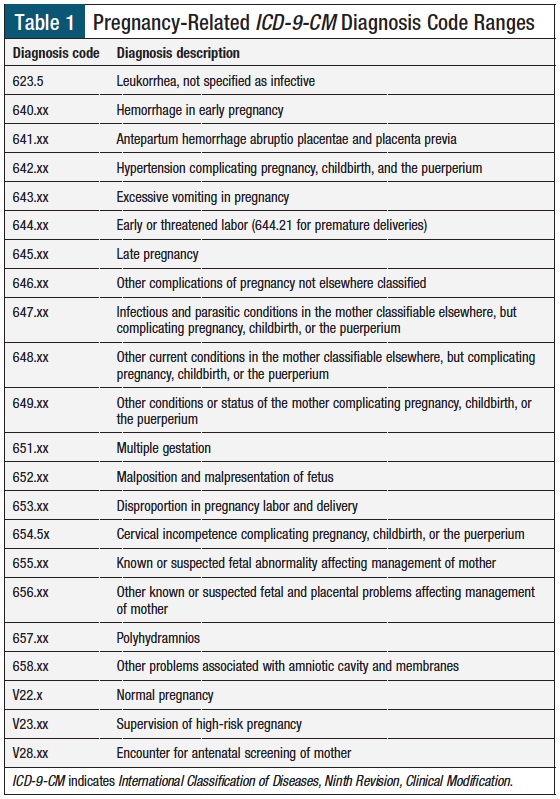 Observation and emergency department visits were identified as pregnancy-related based on the presence of one of the pregnancy-related International Classification of Diseases, Ninth Revision, Clinical Modification codes listed in Table 1 in any position on the claim. Urgent care visits and physician office visits were not considered pregnancy-related emergent care. 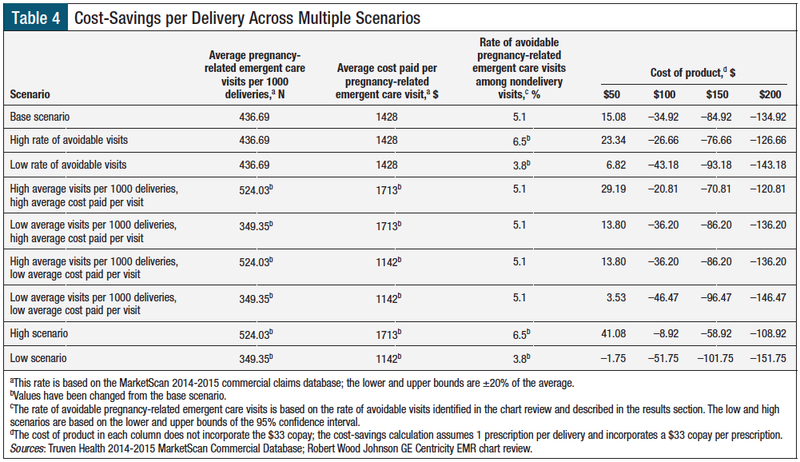 We calculated a pregnancy-related emergent care visit rate per 1000 deliveries. To estimate the rate of avoidable visits, we applied the rate of avoidable PROM-related unscheduled visits from the chart review to the total pregnancy-related emergent visits from the claims analysis. Although the rate of avoidable visits represents the experience of only 1 large, semi-urban facility in the Northeast, we believe that the rates at this facility are not drastically different from the national average. Because medical visits–related claims in the MarketScan database cannot be identified as scheduled or unscheduled, we used the rate of avoidable PROM-related unscheduled visits of all scheduled and unscheduled visits. To calculate the cost of pregnancy-related emergent care visits, we used paid costs from the commercial claims data, which is the amount paid by the insurance company after any cost-sharing paid by the patient. In addition to the amounts paid for facility services, we included all other costs for professional and outpatient services incurred during a short-term nondelivery inpatient visit and all other pregnancy-related professional and outpatient services incurred on the day of a pregnancy-related observation or emergency department visit. We assumed that the avoidable PROM-related costs were represented by the average of all the pregnancy­related emergent visits. During the chart review process, 1250 unscheduled and 843 scheduled labor and delivery unit visits were identified. In all, 663 (53.0%) unscheduled visits and 406 (48.2%) scheduled visits did not result in an admission for delivery and the women were discharged or admitted for other reasons. Table 2 summarizes the key demographic characteristics of the women representing 1250 unscheduled visits that were fully reviewed for this study. A total of 226 (18.1%) of the 1250 unscheduled visits had a primary purpose of ruling out suspected PROM. Of the 663 unscheduled nondelivery visits, 68 were suspected PROM visits (results not shown in the Figure). Of all suspected PROM nondelivery visits, 55 (80.9%) were discharged without a confirmation of PROM. These made up 55 (5.1%; 95% CI, 3.8%-6.5%) of all 1069 scheduled and unscheduled nondeliveries. Univariate and multivariate regression analyses showed that the presence of any combination of identified PROM risk factors was not a significant predictor of suspected or avoidable PROM visits. The 2014 and 2015 MarketScan database analysis identified 23,930,824 members who met the initial quality and membership criteria for this study. In addition, 134,919 deliveries were identified between January and September 2015, for a delivery rate of 11.26 per 1000 qualified members. 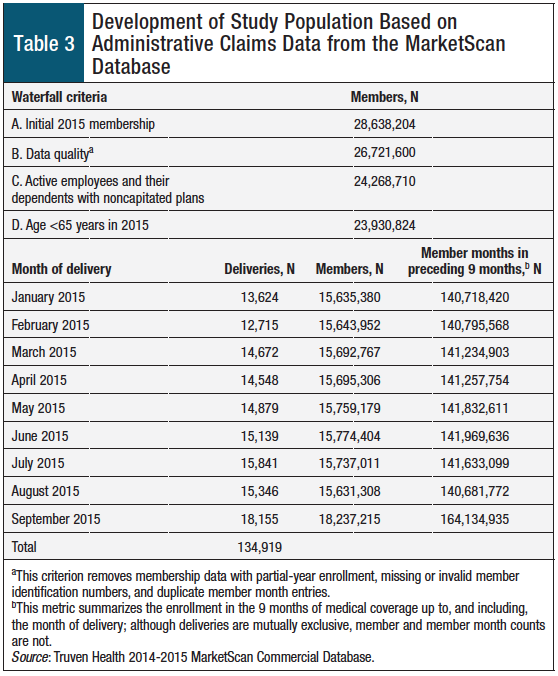 The number of women and contributing member months for each of the 9 cohorts—which were defined by the month of delivery—are shown in Table 3. Pregnant women had 436.69 pregnancy-related emergent care visits per 1000 deliveries during the study period (Table 4), for an average cost per visit of $1207. Applying an annual national average commercial inflation rate of 5%9 produces a national average cost estimate of $1428 for pregnancy-related emergent care visits for 2018, or $0.58 per member per month (PMPM). Applying the 5.1% estimate of avoidable PROM visits from our chart review analysis to the population of pregnancy-related emergent care visits translates to an avoidable PROM visit rate of 22.47 per 1000 deliveries. Under the typical US commercial or Medicaid insurance plan, the professional fees for expected obstetric services by an obstetrics clinician for pregnancy management are paid through a global fee that covers all routine services from detection of pregnancy through delivery. Pregnancy-related facility services that are not clinician-related typically are not reimbursed under this global fee structure, so such services represent payer expenses in addition to the global fee. Based on our retrospective claims analysis, 1 of 2.3 pregnancies could be expected to require labor and delivery care other than actual delivery, at an average cost to a payer of $1428 per visit. According to our analysis, 5.1% of these visits are estimated to be for suspected PROM for women who are discharged home because PROM is ruled out; such cases represent potential cost-savings. 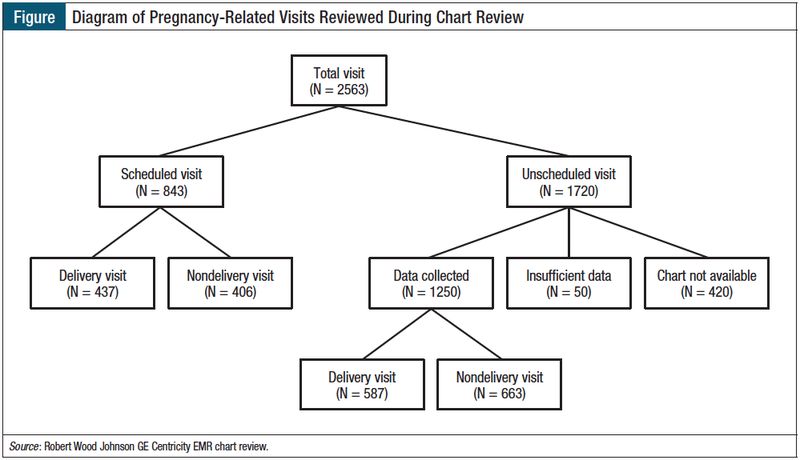 Our analysis showed that 10.3% of unscheduled nondelivery labor and delivery unit visits were driven by the suspicion of PROM and not by premature PROM; of these cases, the majority (80.9%) were sent home after no leakage was found. Visits in which women were suspected of having PROM but were discharged home after leakage was ruled out could have been avoided if the pregnant woman or her clinician were able to determine that the symptoms were not caused by amniotic fluid leakage. Our data analytics team measured the impact that such a product could have on the cost to payers in a US-based reimbursement model. For this exercise, we assumed that the product would be covered under a pharmacy benefit, and as such would potentially carry an average tier 2 brand copay of $33.11 Assuming no cost-offsets and an allowed price of $100 per 28-day prescription, coverage of such a product at 1 prescription per pregnant woman would cost the health plan $0.06 PMPM; this compares with a national average PMPM cost of approximately $450 for the total medical and pharmacy costs based on the 2014-2015 MarketScan database (trended to 2018). In an additional analysis, we modeled the cost-savings associated with the reduction of potentially avoidable visits based on the availability of an amniotic fluid leakage detection product. Table 4 quantifies the projected cost-savings per delivery for a base scenario and for 8 alternative scenarios. For each scenario, we measured savings at 4 different product price points. Table 4 presents factors derived from the utilization and cost metrics identified in our EMR chart review and commercial claims data analyses. It includes additional cost-savings scenarios based on changes in the rate of potentially avoidable PROM visits, the proportion of avoidable visits, and the average cost per visit. Certain subpopulations of pregnant women, with different rates of emergent outpatient facility visits or avoidable visits that differ from the base scenario, may offer greater or lower cost-offsets than are shown in the base scenario. We tested whether women with PROM risk factors could have a higher rate of avoidable visits, but these factors were not significant in the regression results. This suggests that the frequency of emergent outpatient visits is unrelated to these risk factors, and that women with these risk factors may be admitted to the hospital more frequently for delivery or monitoring in the inpatient setting, or that women with these risk factors may require additional scheduled monitoring. A larger study could determine the risk factors associated with these visits. Another consideration is the potential difference in visit rates and costs between pregnancies in women who are commercially insured and those covered by Medicaid. Medicaid programs finance nearly 45% of all births in the United States, and in general pay lower reimbursement rates than commercial payers.12,13 Assuming that Medicaid pays hospitals approximately 65% of commercial insurance reimbursement, based on published cost relativities,14,15 the cost-savings per avoided PROM visit would be $928. Medicaid programs also do not have meaningful patient cost-sharing and vary considerably in their payment policies. Our analysis has several limitations. The chart review portion of this study was based on results at a single institution. The rates of avoidable PROM visits observed at the Robert Wood Johnson University Hospital may not be representative of all US healthcare facilities. We recommend additional research on avoidable PROM visits at other emergent care facilities. In addition, the billing procedures for pregnancy-related visits can vary across clinics and hospitals, and can be highly dependent on the specific clinical characteristics of the pregnant woman and the procedures she receives. To account for this potential variation, and based on our knowledge of existing payment practices for obstetric care, we used the national average of pregnancy-related observation visits, emergency department visits, and short-stay inpatient cases to identify an average cost and utilization of an avoidable visit. Specific clinics or hospitals may have a different experience. Furthermore, we assumed that the cost of avoidable visits are, on average, the same as all pregnancy-related emergent care visits, which may not necessarily be the case in all contexts and across all facilities. We also based these costs on a commercial claims database analysis, but the amount paid by insurers will vary according to the health plan type. In consumer-driven and high-deductible health plans, insurance companies will pay less because of higher deductibles to patients. In addition, this model was designed to be a high-level overview of the cost of avoidable PROM visits and the potential cost-savings associated with the availability of products designed to distinguish between amniotic fluid and other bodily fluids. There may be other potential factors contributing to this model that are not accounted for in this analysis. Finally, there may be situations in which women who use a product at home to rule out amniotic fluid leakage may still seek emergent care. The cost-savings could, therefore, be lower in the real-world setting as a result of imperfect use by women and false-positive results, but this was not accounted for in our analysis. Emergent care visits in which pregnant women were suspected to have PROM but were discharged home after amniotic fluid leakage was ruled out represent an unnecessary clinical burden on pregnant women and are associated with payer costs that could be avoided. The availability of a method that could accurately test for amniotic fluid leakage at home or in the medical office may allow pregnant women or their providers to assess fluid leakage and avoid exposure to more invasive medical testing. In addition, if at-home testing can reveal true PROM, this may help to ensure that women would seek timely obstetrics care. The authors would like to acknowledge Grace Ogot and Michael Piagentini of Robert Wood Johnson Bar­nabas Health for their assistance in the chart review portion of this analysis, as well as Marjorie Schulman for her assistance in the claims data analysis. Financial support of this study was provided by Exeltis, which is developing a product for ambulatory detection of amniotic fluid leakage. Ms Ferro, Mr Pyenson, Ms Lau, and Ms Kelkar are employed by Milliman, which received funding from Exeltis for this study. Dr Phillips, Dr Lu, Dr Yeung, and Dr Bachmann are employees of Rutgers Robert Wood Johnson Medical School, which received research funding from Exeltis for conducting the research. Ms Ferro is Healthcare Analytics Consultant, Milliman, New York, NY; Mr Pyenson is Principal & Consulting Actuary, Milliman; Ms Lau is Healthcare Analytics Manager, Milliman; Ms Kelkar is Healthcare Analytics Manager, Milliman; Dr Phillips is Associate Professor of Obstetrics, Gynecology, and Reproductive Sciences, Rutgers Robert Wood Johnson Medical School, New Brunswick, NJ; Dr Lu is Director of Research, Women’s Health Institute, Rutgers Robert Wood Johnson Medical School; Dr Yeung is Clinical Research Specialist, Women’s Health Institute, Rutgers Robert Wood Johnson Medical School; Dr Bachmann is Professor and Vice Chair, Department of Obstetrics, Gynecology, and Reproductive Sciences, and Director of Women’s Health Institute, Rutgers Robert Wood Johnson Medical School. 1. Ray AF, Peirce SC, Wilkes AR, Carolan-Rees G. Vision Amniotic Leak Detector (ALD) to eliminate amniotic fluid leakage as a cause of vaginal wetness in pregnancy: a NICE Medical Technology Guidance. Appl Health Econ Health Policy. 2015;13:445-456. 2. Bornstein J, Ohel G, Sorokin Y, et al. Effectiveness of a novel home-based testing device for the detection of rupture of membranes. Am J Perinatol. 2009;26:45-50. 3. Madhu M, Premlata M, Usha S, et al. Detection of amniotic fluid leakage in women with suspicion of prelabour rupture of membrane or unexplained vaginal wetness by amniotic fluid detection kit and its comparison with fern test. Scholars Academic Journal of Biosciences. 2014;2:573-576. 4. Rogers LC, Scott L, Block JE. Accurate point-of-care detection of ruptured fetal membranes: improved diagnostic performance characteristics with a monoclonal/polyclonal immunoassay. Clin Med Insights Reprod Health. 2016;10:15-18. 5. Igbinosa I, Moore FA III, Johnson C, Block JE. Comparison of rapid immunoassays for rupture of fetal membranes. BMC Pregnancy Childbirth. 2017;17:128. 6. Ramsauer B, Vidaeff AC, Hösli I, et al. The diagnosis of rupture of fetal membranes (ROM): a meta-analysis. J Perinat Med. 2013;41:233-240. 7. National Institute for Health and Care Excellence. Vision Amniotic Leak Detector to assess unexplained vaginal wetness in pregnancy. Medical technologies guidance [MTG15]. July 17, 2013. www.nice.org.uk/guidance/mtg15. Accessed February 4, 2017. 8. Mercer BM, Goldenberg RL, Meis PJ, et al; for the National Institute of Child Health and Human Development Maternal-Fetal Medicine Units Network. The Preterm Prediction Study: prediction of preterm premature rupture of membranes through clinical findings and ancillary testing. Am J Obstet Gynecol. 2000;183:738-745. 9. Centers for Medicare & Medicaid Services. National Health Expenditures 2016 highlights. www.cms.gov/Research-Statistics-Data-and-Systems/Statistics­Trends-and-Reports/NationalHealthExpendData/downloads/highlights.pdf. Accessed June 14, 2018. 10. ACOG Committee on Practice Bulletins—Obstetrics. ACOG Practice Bulletin No. 80: premature rupture of membranes. Clinical management guidelines for obstetrician–gynecologists. Obstet Gynecol. 2007;109:1007-1019. 11. Kaiser Family Foundation; Health Research & Educational Trust. Employer Health Benefits 2017 Annual Survey. Publication #9060. September 2017. http://files.kff.org/attachment/Report-Employer-Health-Benefits-Annual-Survey-2017. Accessed September 21, 2017. 12. Gifford K, Walls J, Ranji U, et al. Medicaid Coverage of Pregnancy and Perinatal Benefits: Results from a State Survey. Kaiser Family Foundation; April 2017. http://files.kff.org/attachment/Report-Medicaid-Coverage-of-Pregnancy-­and-Perinatal-Benefits. Accessed September 21, 2017. 13. Cunningham P, Rudowitz R, Young K, et al. 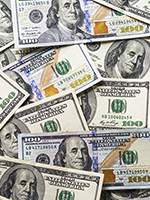 Understanding Medicaid hospital payments and the impact of recent policy changes. Issue brief. Kaiser Family Foundation; June 2016. http://files.kff.org/attachment/issue-brief-understanding-medicaid-hospital-payments-and-the-impact-of-recent-policy-changes. Accessed September 21, 2017. 14. American Hospital Association. TrendWatch Chartbook 2015. Chicago, IL: American Hospital Association; 2015. www.aha.org/research/reports/tw/chartbook/2015/table4-4.pdf. Accessed June 15, 2018. 15. American Hospital Association. Underpayment by Medicare and Medicaid fact sheet. January 2016. www.aha.org/system/files/2018-02/2016-jan-medicaremedicaidunderpmt.pdf. Accessed June 15, 2018. In their study in this issue of the journal, Ferro and colleagues aim to estimate the prevalence and cost associated with potentially avoidable visits by pregnant women in an emergent care facility for suspected premature rupture of membrane (PROM).1 The authors also provide a secondary analysis of cost-savings associated with the reduction of emergency department visits based on the availability of an amniotic fluid leakage detection product. PAYERS/PROVIDERS: Overall, the data provided by the authors shed light on the utilization pattern of pregnancy-related emergency department visits. Although many studies are available on emergency department utilization and avoidable visits among the general US population, less is known about pregnancy-related healthcare utilization, especially regarding the prevalence of presenting symptoms as drivers of emergency care utilization. This is because of the complexity of coding, billing, and payment of maternity care, which render administrative analyses challenging; the same holds true for effective interventions for avoiding emergency department use. Payers and providers, especially those associated with accountable care organizations, have many tools and experiences related to the management of unnecessary emergency department utilization for the general population, but they lack effective ways to avoid emergency department visits related to maternity care. The results of this study, therefore, could serve as a valuable reference for payers and providers who seek insights into potential interventions to reduce avoidable pregnancy­related emergency department visits. The study by Ferro and colleagues cites a rate of 5.1% avoidable pregnancy-related emergency department visits resulting from PROM.1 This is a significant reduction and, hence, worth discussion. This percentage will likely vary significantly based on the specific population included in the analysis. Populations from different institutions will have variable emergency department utilization behaviors. Providers will practice medicine differently, and billing and coding from institutions will also vary. In addition, the assumption used in this study to calculate the avoidable emergency department visits is based on the premise that 100% of the PROM-related visits that did not result in inpatient admissions were avoidable. In addition, the observed rate of PROM-related emergency department discharges from chart reviews consists of a population with commercial and Medicaid insurance coverage. Because the Medicaid-covered population generally incurs a much higher rate of emergency department utilization, it is plausible that in a purely Medicaid population, the rate of avoidance could be much higher than 5.1%. The authors acknowledge the limitation by performing a sensitivity analysis of the base rate. Further study is recommended to evaluate and assess the avoidable emergency department rate for PROM-related visits in specific populations, regions, and clinical scenarios. Regarding the impact that an amniotic fluid detection product could have on the costs to payers and the cost-savings calculation, several factors need to be considered. The first is the utilization pattern of the product. The cost-savings analysis assumes a single 28-day prescription of the product in discussion; however, it is not clear what the actual utilization volume will be, because the product could be used from the 36-week gestational period. A pregnant woman may not deliver until 41 weeks of gestation; therefore, for payers to make coverage policy decisions, it is necessary to factor in the utilization volume in the existing markets. If the utilization per pregnancy is higher than 28 days, then the cost-savings potential based on the cost structure proposed in this article could not be realized. This study only focuses on the cost-savings associated with the reduction of potentially avoidable visits. Based on our experience and observation, there are significant numbers of hospital admissions and induction of labor that are performed and that could be avoided because of the false-positive assessment of amniotic fluid rupture. 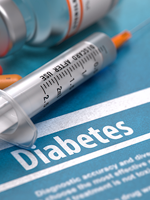 The device discussed in this article can potentially reduce such admissions. Hence, on the flip side of the argument about the cost-savings potential, when taking into account the potential cost-savings associated with avoidable inpatient admissions and the potential downstream sequential of these admissions, the cost-savings potential of the device could, in fact, be much higher. In conclusion, this is a valuable study that sheds light on the prevalence of pregnancy-related avoidable emergency department visits for PROM. More research and evaluation are needed to further understand the generalizability of these results, especially across different regions and different populations according to insurance status. The amniotic fluid detection device shows potential as a cost-effective intervention to reduce avoidable emergency department utilization and the total cost of maternity care. 1. Ferro C, Pyenson BS, Lau J, et al. The prevalence and payer costs of potentially avoidable emergent care visits for suspected amniotic membrane rupture in pregnant women. 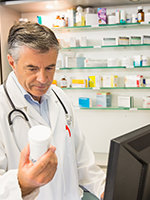 Am Health Drug Benefits. 2018;11(5):241-250.